Established more than 30 years ago, we are proud to be one of the first, and now fully online, master’s degree and certificate programs in the field! As a student in one of our programs, you will engage in courses taught by our internationally recognized faculty, as well as seasoned professionals currently working across all sectors of our field. Course design for online or face-to-face instruction and performance support – applicable to any field and organization. Game design for learning experiences that are fun and effective. Social media to support learning and collaboration in organizations. Evaluation techniques to demonstrate the impact and value of programs, projects, and materials. While all of our courses are now delivered fully online, they don’t follow the usual impersonal format of many other programs. You will still attend class sessions just as you would face-to-face on campus; regular meetings are held via videoconferencing software that allows for engaging, real-time interaction. Not only will you see your instructor and the course materials up close, you’ll meet in breakout rooms with fellow students for activities and collaboration. Another thing that sets us apart is our balance of theory and practice. Our courses are centered on real projects, real clients, and real opportunities for leadership and collaboration with community partner organizations. We infuse our innovative DesignLAB model throughout the curriculum, with the master’s culminating in a client-based practicum experience. Because of the relationships among students developed in our program, LDT has an active and tight-knit LDT alumni network that helps students make lasting and valuable connections reaching well beyond their studies. Many of our alumni contribute to curriculum revisions, serve as lecturers, bring an array of projects to the table, and take on mentorship roles. Our graduates are ready for a wide variety of careers in every sector in which learning professionals work: K-12 (charter, private, public, for-profit), higher education (2- and 4-year institutions), government, corporate, nonprofit, and military. Analyze learning needs and performance opportunities. Design training and performance support programs, courses and resources. Design electronic performance support systems and mobile learning solutions. Work on usability and human-computer interaction design. Build prototypes, websites, games, simulations, mobile apps and much more. Build coaching and mentoring systems. Build VR or AR-supported learning environments. Provide consulting for organizations on issues related to instructional design and technology. Oversee learning management and content management systems and the implementation of innovative solutions. Conduct research related to teaching, learning, and training. Evaluate program effectiveness and impact. 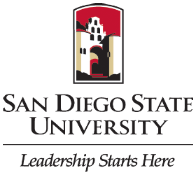 Whether you’re a resident in the San Diego area, or anywhere in California, you can attend LDT@SDSU online as an in-state student. That means that you will pay the regular in-state tuition, and those with financial need can apply for both state and federal aid. Questions? We encourage you to complete the JMS/LDT Prospective Student Form so our graduate advisors can respond right away to answer any questions and keep you updated on stateside programs. Or, email us at ldt@sdsu.edu.